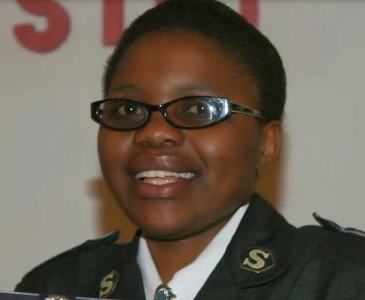 Our Ambassador of the Month for November is Josiline Chigwada, Sub Librarian at the Bindura University of Science and Education (BUSE) Library! Josiline has been an Altmetric Ambassador since August 2015 and has been spreading the word about altmetrics to colleagues and academics throughout her institution ever since. Josiline is also very involved with the research metrics community, having recently produced a research project looking at the take up of altmetrics for use in research funding in Zimbabwe and presenting her findings at this years 3:AM conference in Bucharest. Tell me about your role at Bindura University of Science Education. What does your typical day involve? I am the Sub Librarian for Information Services at Bindura University of Science Education (BUSE) Library. This is my tenth year in the academic librarianship field. My major role at BUSE is to ensure that the information needs of library patrons are met in an efficient manner. I deal with undergraduate students, postgraduate students, researchers, lectures and academic support staff. It is also my role to ensure that both library patrons and library staff are well acquainted with the current trends in academia in terms of information access and use, and to know the impact of their research output. That led me to be interested in altmetrics. Where did you first hear about altmetrics? I first heard about altmetrics from the BUSE Librarian who attended the UKSG 38th annual conference and exhibition in Glasgow in March 2015. Library management was briefed about the subject and I was thrilled to discover more. I did my homework and researched more about altmetrics. Among other things, I attended several webinars so that I could understand the subject better. When I saw the call for ambassadors, I gladly applied and was selected and welcomed on board on 4 August 2015 by Stacy Konkiel. Since that time, I have been spreading the word about altmetrics. You recently presented at the 3:AM conference. Your study focused on the use of altmetrics in granting research funding. Can you tell our readers a bit more about your findings, particularly for Zimbabwean universities? It was a great opportunity for me to attend the 3:AM conference in Bucharest. The study focused on how research institutions use altmetrics data to allocate research grants. The findings showed that only one institution is using the free altmetrics tools to see how funded research has been received and not in allocating research grants. There is no institution that uses altmetrics data in allocating research grants.The allocation process is mainly based on administrative decisions and whether the applicant has published in a peer review journal before. In terms of the products that are used, only two are used, that is the Altmetric bookmarklet and Explorer for Librarians. The challenges that were cited were lack of awareness, resistance of metrics by academics and ignorance on the importance of citation tracking. Some institutions are satisfied by publishing in high impact journals only. They are not worried about how their research output is received and used by the research community. As a result, there is need to create awareness and work with academic institutions in Zimbabwe to ensure that article level metrics is done and the data be incorporated into the grant allocation process. After the conference, I extended my research to the outside community to research institutions and funding agencies to see whether they are using altmetrics data to allocate research grants. The survey is available at: https://www.surveymonkey.com/r/TV5X9KH. I will write a research paper for publishing at the end of the year. Those who have questions about the study can contact me on josyphiri@gmail.com. Further areas of research will come out of that paper and I will take it from there. What advice do you have for other librarians trying to promote the use of altmetrics in their institution? It’s not easy to promote something new especially if there are some who will be opposing the initiative. My advice to other librarians is to make sure that you gather evidence that shows the importance of using altmetrics. This include the benefits of using altmetrics and if one knows other institutions that are successfully using altmetrics, there is need to point them out and cite the importance of altmetrics. Librarians should be up-to-date on the developments that are taking place in the altmetrics field to ensure that they flow with the tide. Being left behind in this technological era is not an option. Research evaluation at the article level is now the way to go and with the prevalent of the social media, mentions on these platforms cannot be ignored. 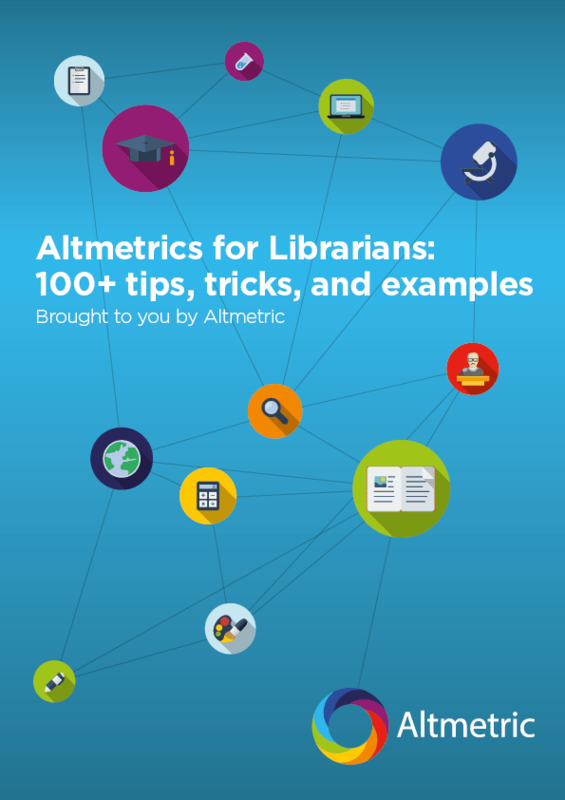 Let’s keep the ball rolling as Librarians in promoting altmetrics in our institutions. Visit our webpage to find out more about our program of over 200 Ambassadors worldwide spreading the word about altmetrics and Altmetric.